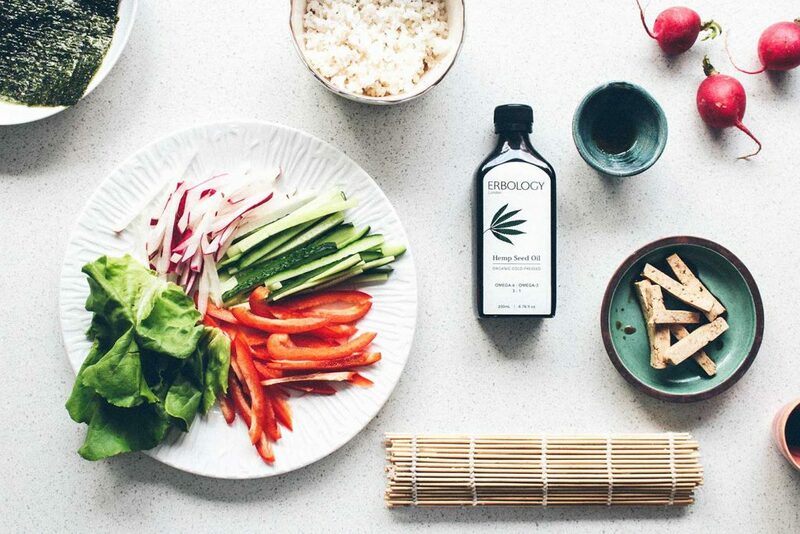 Enrich any dish with this flavoursome nutty hemp seed oil rich in vitamin D, omega-3 and 6. 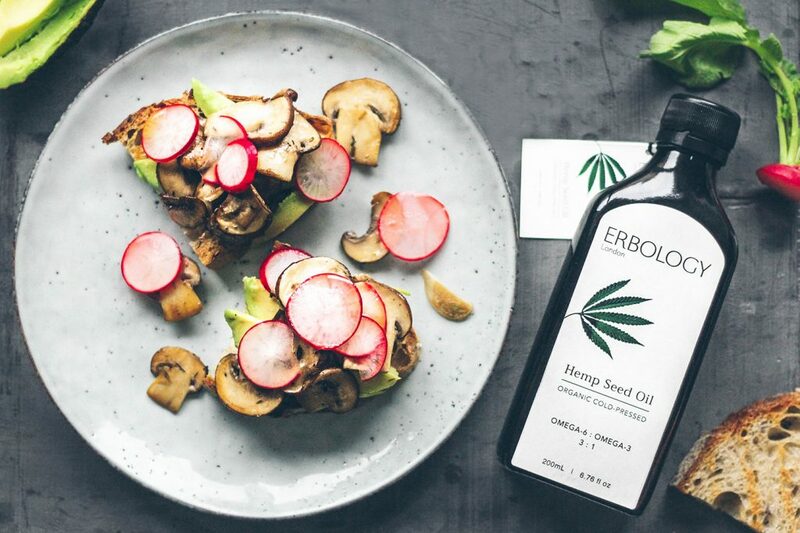 100% organic cold-pressed oil made from hemp seeds (Cannabis sativa). 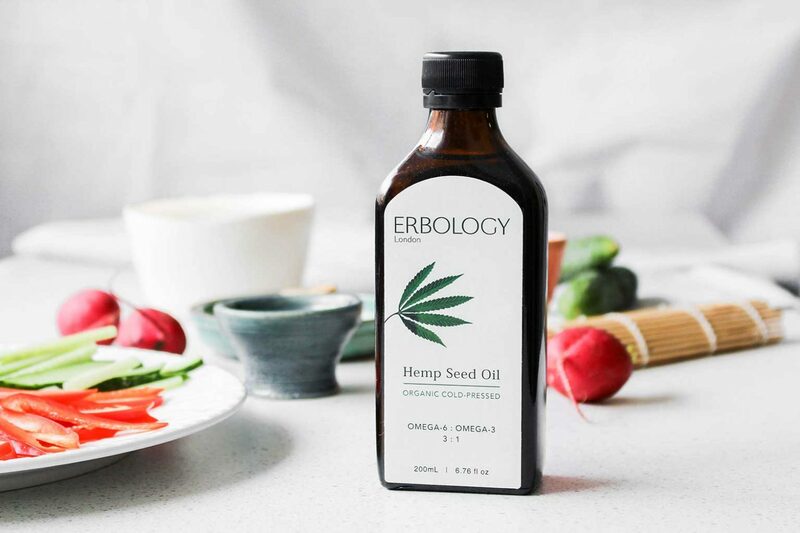 With an excellent 3:1 ratio of omega-6 to omega-3 essential fatty acids, Erbology Hemp Seed Oil is a strong support to a healthy heart and brain. Omega-3 fatty acids can also nourish hair follicle and scalp, leaving your hair look stronger and shinier. Gorgeous hair comes with beautiful skin. Due to high content of both, omega-6 and omega-3 fatty acids, hemp seed oil is a wonderful moisturizer that can help increase skin elasticity and water retention capacity in tissues. Hemp seed oil is also a natural source of vitamin D that your body needs for bone health and overall wellbeing. Enjoy a spoonful in any of your favourite dishes. 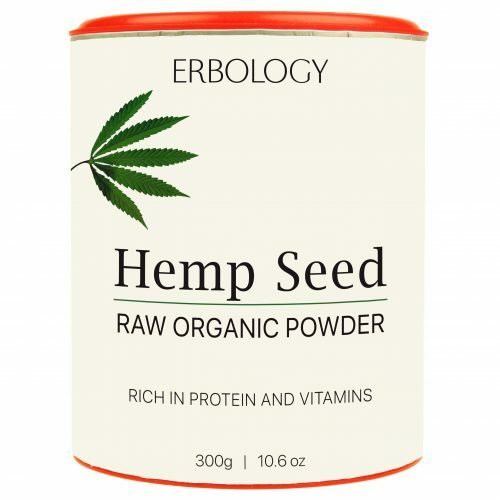 Hemp seed oil adds a nice earthy flavour to your salad or soup. 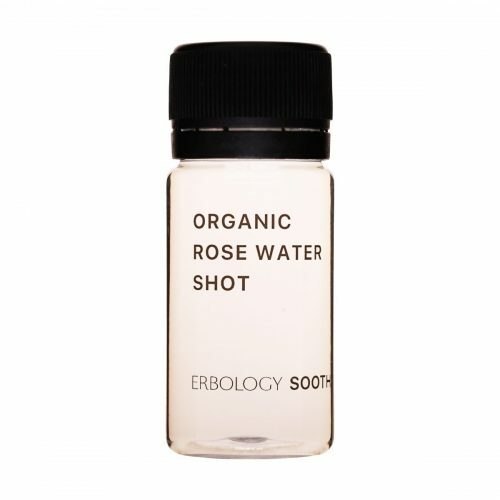 For deep moisturising, apply a small amount to skin and hair at night. Store in a cool, dark place. Not suitable for heating up. Wash and cut 3/4 cup chestnut mushrooms into medium slices. Heat up one tsp rapeseed oil and add the mushrooms, a pinch of sea salt and fresh thyme to taste. After a couple minutes, add in one chopped clove of garlic. Remove the mushrooms from heat and set aside. Wash and slice 4 small radishes and put them in a bowl with 1-2 tbsp lemon juice. Add a sprinkle of salt and stir a bit. Leave them to marinate for about 5-10 mins. Grill or toast two slices of sourdough bread. Cut or mash one ripe avocado the add to your toast and top with mushrooms and radishes. Drizzle 1-2 tsp hemp oil and enjoy! £9.99 – or join the Club and get up to 25% off. No fees. Learn more. £2.49 – or join the Club and get up to 25% off. No fees. Learn more.